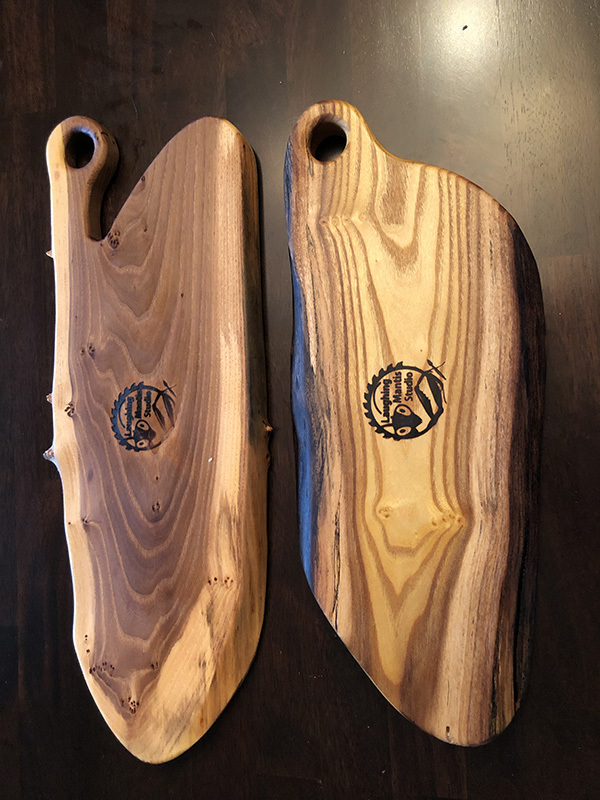 Two quick little boards to share. I was tasked with making a serving board for one of our best friend’s birthday (@mandyrubes). 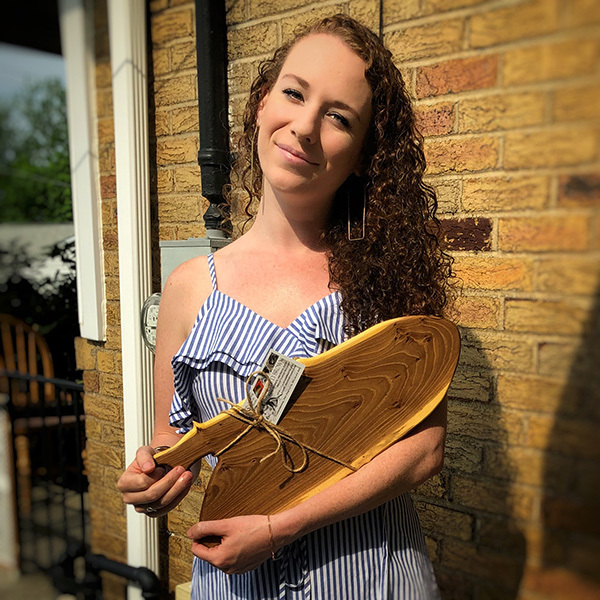 So I went to the wood pile and picked a VERY rough little chainsawed slab of elm (from the same tree I used in cheeseboard #3 and our coat rack), threw it through the planer like 30 times, cut the shape on my bench bandsaw, rounded over the edges with the router, sanded, and then made @tam_a_ryn do the finishing with mineral oil and beeswax (check the instagram post at the bottom for entertaining vids of that, with a cameo by @andtheschwartziswithme. You can also see @tam_a_ryn posing with our gift). The next day, my neighbors offered me some logs they’ve had in a pile for a few years. I had no idea the species, so I cut one open with the electric chainsaw, and repeated all the above. 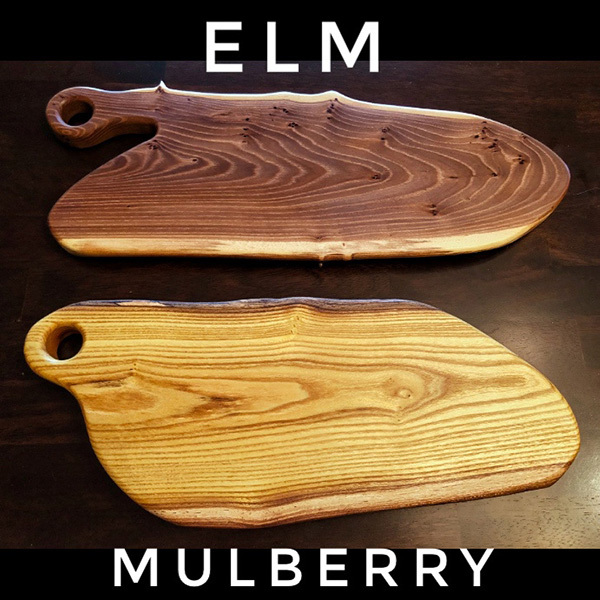 It turned out to be some beautiful yellow-orange mulberry wood. I gave them this board since they said I could take as much as I want. 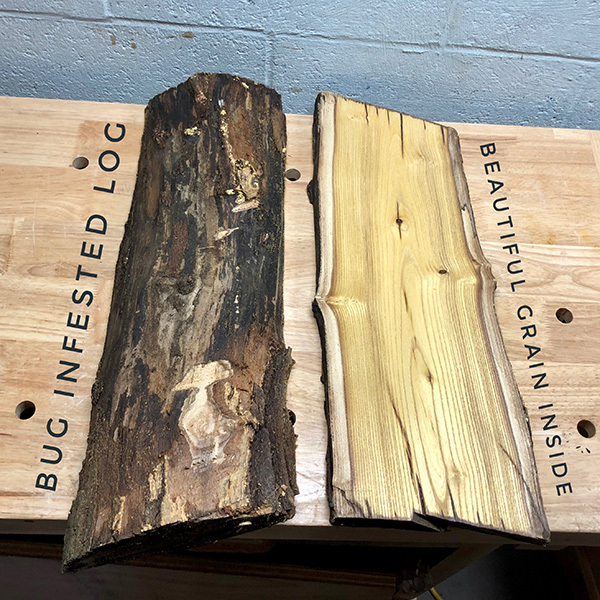 She had initially said “but you won’t want it, it’s full of bugs and rotten.” Luckily that was only true of the bark and some black ants in the pith. I was not expecting such color when I cut that dirty gray log open. Note: the shapes were basically just dictated by the cracks I worked around.